The ParadEyes.com Security Certificate on your MaximEyes workstations expired on 08/04/17. 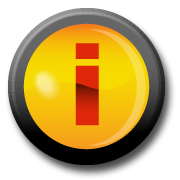 To ensure that you don't experience an interruption in submitting your orders via ParadEyes.com, please login to the For Customers website at http://customer.first-insight.com and run this update on each workstation where you submit orders via the ParadEyes.com integration. Once you login to the For Customers website, click the DOWNLOADS menu tab. Click the MaximEyes-ParadEyes.com Integration Update (All MaximEyes Versions) - released July 14, 2017. A new message window will appear asking if you want to Run or Save the file. Click the Run button. Your browser may display the prompt "MaximEyesParadEyesSecurityUpdate2017.exe is not commonly downloaded and could be dangerous." Please select the option to "Keep" it and double click on it. A second message will appear to verify if you want to run the update. Click the Run button again to install the MaximEyes-ParadEyes.com Integration Certificate Setup Wizard. Click the Next button. When prompted, enter the Practice Name and click the OK button.